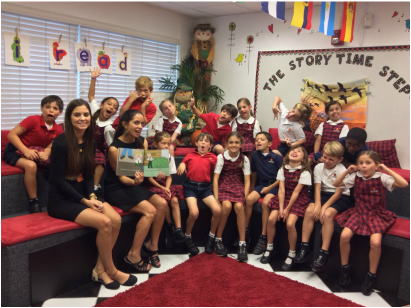 SCHOOL VISIT FOR "FERIA DE la hispanidad"
Marianne visited St. Stephens Episcopal School in Coconut Grove for "Feria de la Hispanidad" in October 2015. She met parents and teachers, displayed our books, and visited the Pre-K and First Grade classes for readings. The Pre-K students enjoyed sounding out the alphabet letters from "ABC en español" and Mrs. Carta's first graders requested "El policía Justo" and "Señorita Bienvenida en el restaurante" and followed along enthusiastically. It was a great visit and we plan to return for their book fair in November. SCHOOL VISIT FOR "DíA de la hispanidad"
Marianne and Diana visited St. Hugh Catholic School in Coconut Grove for "Día de la Hispanidad" in October 2015. They presented "El árbol de Amanda", first in Spanish, then in English, and followed with two rounds of the game "Teléfono". The students laughed out loud at the tongue-twisters in Spanish, and everyone read them out loud after the games. 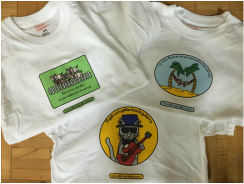 We handed out t-shirts with featuring illustrations from our ¡Palabras! workbook to some of the volunteers. It was a pleasure to visit this school! 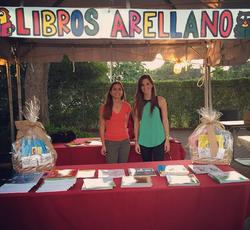 Marianne and Diana spent a weekend in December at the St. Theresa School Fair in Coral Gables, Florida. We enjoyed showing fairgoers our books, talking with parents and teachers about bilingual literacy, and handing out coloring pages to kids. 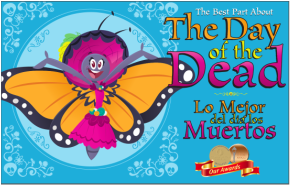 Marianne wrote a story especially for Readconmigo.org about the Day of the Dead (El Día de los Muertos). Readconmigo is a bilingual literacy program sponsored by Infinity Insurance. 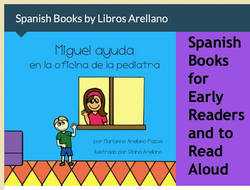 The story is available for download on the readconmigo.org website. 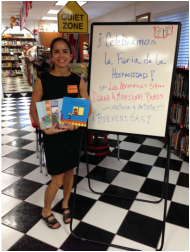 We visited a school in Coconut Grove, Florida, on two dates in October, 2014, for a Hispanic Heritage celebration. On the first visit, we talked with fourth graders about the process of illustrating stories. 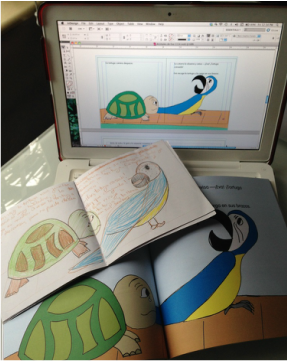 We were impressed by the creativity of the students and helped them with the process of illustrating stories for a class project. On the second visit, we participated in the book fair, then read to two small groups of second graders in the school library. 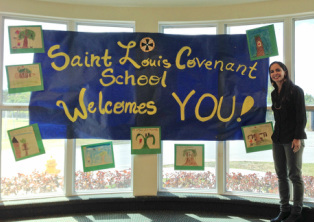 We were so pleased by the warm reception from the school and parents! We were part of a blog HOP! Spanish Playground invited us to participate in the Multicultural Kid Blogs 4th annual blog hop for Hispanic Heritage month. 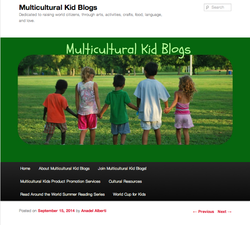 We were happy to participate in a giveaway for the readers and followers of various multicultural-themed blogs. read a review of our work by NATURALMENTE MAMA! 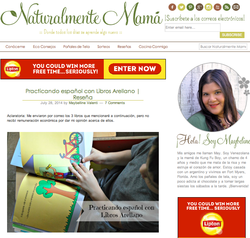 We were so fortunate to have Maybelline Valenti of Naturalmente Mamá review our books. 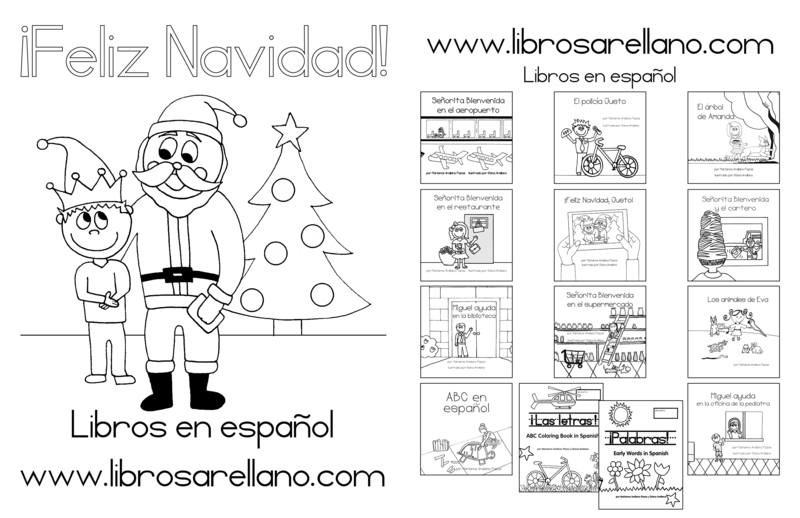 We couldn't be prouder that she said about our books "son una joya". She mentioned in particular "El policía Justo" and appreciated how it reflects scenes from daily life in the U.S.A.
Marianne visited Mis Amigos Summer Camp in Coral Gables, Florida, for a brief reading of her stories in July 2014. The young campers were immediately drawn to the brightly colored books on display, and mostly enjoyed flipping through the pages of all the books and asking for many stories to be read. Marianne visited a school in Miami, Florida, on May 16, 2014, for Career Day! She talked with first and third graders about the process of writing and creating picture books, from drafts to the final product. She showed students notebooks filled with rough drafts, stacks of typed drafts with corrections, sketches, mock ups, computer layouts, and of course, final books. She asked students about their favorite subjects, then explained how writing and illustrating books requires skills from a variety of academic subjects - reading, writing, and grammar, of course, but also math for layouts and graphic design, art for illustration, and even P.E. because walking a long time helps you come up with ideas! 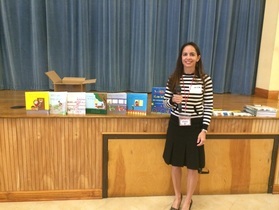 Marianne visited a school in Pinecrest, Florida, on May 8, 2014, for a reading of Miguel ayuda en la biblioteca and a brief presentation on library manners. She was amazed and surprised by an art project the students had done using her book El árbol de Amanda! What a highlight! 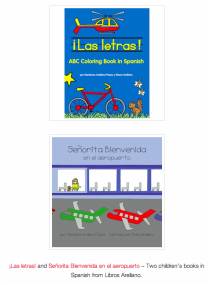 She also read Señorita Bienvenida en el restaurante, and Señorita Bienvenida en el aeropuerto, and answered many questions from the students about writing, books, and illustrations. 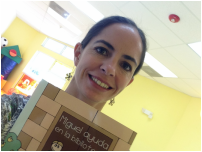 Marianne and Diana visited a school in Key Biscayne, Florida, on April 2, 2014, for a reading of Miguel ayuda en la biblioteca and a brief presentation on library etiquette and some Spanish vocabulary. SCHOOL VISIT FOR "DIA DEL LIBRO"
Marianne visited Aguamarina Preschools in South Miami and Brickell, for "Dia del Libro" in March 2014. The students asked for more and more stories, so Marianne read several, and also talked about visiting the library, and reviewed the letters and sounds of the alphabet in Spanish. 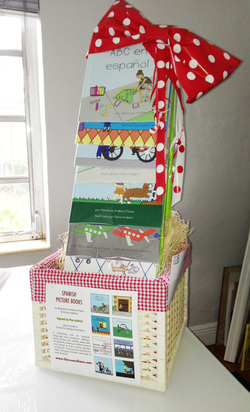 Libros Arellano did a gift basket for a school fundraiser at David Fairchild Elementary in March 2014. We were happy to help the PTA raise some extra funds for the school! 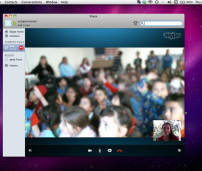 Marianne visited a school in Waukesha, Wisconsin for a "Read-in" day via Skype in February 2014. 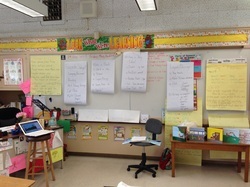 The bilingual students asked amazing questions about writing, books, and even metaphors and similes! 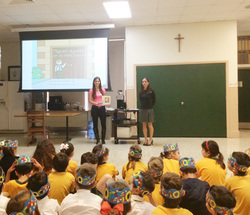 Marianne and Diana visited a school in Coral Gables, Florida, on January 29, 2014, for a reading of Miguel ayuda en la biblioteca and a presentation about library etiquette and Spanish vocabulary. Read our feature article in the miami herald! 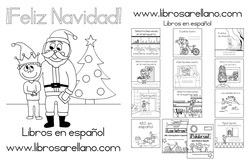 Ana Veciana-Suarez of the Miami Herald did a story about us and our books in December 2013.